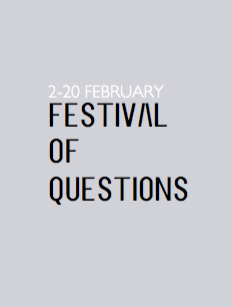 Lancaster Arts’ Festival of Questions is a 3-week series of special events, panel discussions and cultural projects in February 2016. Lancaster Arts are hosting two days of panel discussions at The Storey, in Lancaster's city centre, on Saturday 6th and Saturday 20 February. Offering viewpoints from marginalized perspectives as well as the mainstream, with speakers from across the political spectrum, these FestQ 'Days of Questions' seek to explore the cultural, social and political climate of our time. Tickets are purchased as Day Passes, enabling access to all talks. If you wish to attend both 'Days of Questions' please purchase a ticket for Day 1 and then call (01524 594151) or email the box office where we can issue you the second ticket at 50% off.